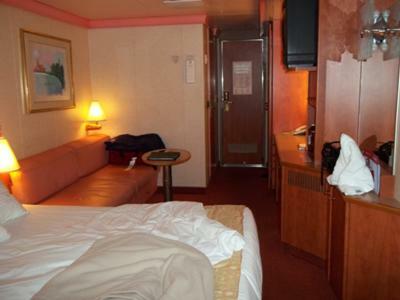 March 6, 2011 my husband and I set sail aboard Carnival Conquest for our honeymoon. This cruise was particularly special simply because it was my honeymoon and visiting Jamaica for the first time was very exciting! I would have to say that our Jamaican shore excursion to a private all inclusive resort for the day made the stop at this port simply amazing! 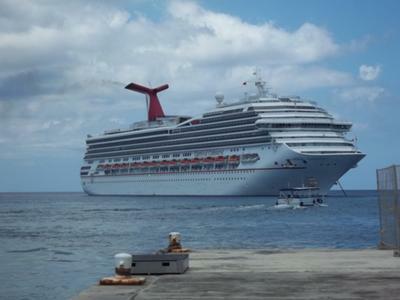 We also visited Cozumel and the Grand Caymans on this cruise. 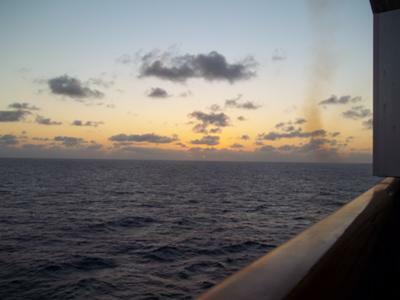 As a seasoned cruiser I find that the most memorable moments seem to always occur on deck at sunset. There is something magical about watching the sun drop from the sky in the middle of the ocean that sets a romantic tone which is unbeatable! It never ceases to amaze me how quickly the sun melts into the sea! Although I have yet to venture a cruise with another cruise line, I believe Carnival is the way to go for cruisers, especially first timers. My best advice for first time cruisers is to enjoy every second as the time flies! Cruisers should expect excellent customer service, exquisite dining and the opportunity to make memories which will last forever. Cameras are a must! Shore excursions can make an excellent experience even better. First timers should remember not to over pack, to plan ahead and book excursions, spa treatments and steakhouse nights (if available on your ship) ahead of time as space is limited. Duty free shopping is fantastic, so don't forget to stash extra funds! First time cruisers in the Caribbean should prepare themselves for the bluest waters imaginable and the warm welcoming attitudes from everyone they encounter at ports of call. Cruising is the only way to travel and the value simply can't be beat! Join in and write your own page! It's easy to do. How? 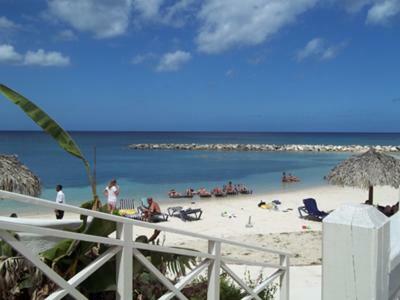 Simply click here to return to What Was Your Best Caribbean Cruise?.